Your dentist looks after all aspects of your oral health, emphasizing preventive care. From professional cleanings to digital X-rays and examinations to restorations such as tooth-colored fillings and dental implants, your dentist preserves smile aesthetics and function. He or she looks after the whole family from toddlers to senior adults, maintaining their teeth and gums at every stage of life. In addition, dentists in Fayetteville, NC provide other services such as fluoride treatments, plastic sealants and mouthguards for sports, TMJ Dysfunction and snoring. And, when serious concerns arise, such as oral injury or a throbbing toothache, a good dentist provides emergency care promptly and compassionately. Finally, the right dentists delivers a long list of restorative and cosmetic treatments to bring smiles to full health. The dentist formulates treatment plans which incorporate the patient’s cosmetic goals. Before you choose a dentist, find out who practices in your area. The dentist’s website gives information on education, professional memberships such as the American Dental Association, a list of services, his or her dental school and continuing education credentials. Explore online rating sites such as Healthgrades.com and Angie’s List to learn what actual patients are saying about their dentists. Also, seek out a referral from a trusted friend or relative. Ask about their dental care, especially if they have used services you may need. For example, is your mother-in-law happy with the new fillings and crowns she has? How the dental office operates indicates how a dentist operates. You deserve a dentist with an empathetic attitude and who is available to answer concerns and to treat emergencies promptly. Ask for an office tour with your prospective dentist. Is the office convenient to your home or workplace? Is it welcoming and warm? Are the staff timely and helpful? If you have young children, when does the dentist first start seeing them? What about the fearful patient–does the dentist offer sedation options and other amenities such as pillows and blankets, aromatherapy, and music? Additionally, what are the payment or financing options for more costly procedures such as dental implants? What dental insurances are accepted? Does the office staff help you with filing insurance claims? 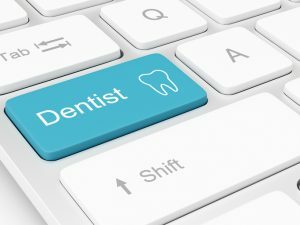 Who is the Best Dentist Near Me? Look around before selecting someone to meet your needs. We’re sure you’ll decide that Dr. Angela Ruff will satisfy your requirements. Please contact Ascot Aesthetic Implants & Dentistry to speak with the friendly office staff and make an appointment.